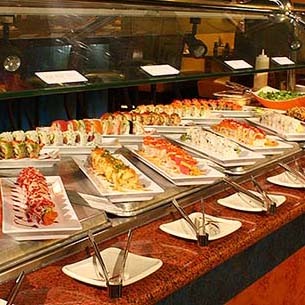 All you can eat sushi lunch buffet is back! We are open Easter Sunday All Day from 12:00 to 9:30! Our restaurant features 16 Teppanyaki grills where our skilled Kobe Hero chefs will create a fabulous Teppanyaki meal right before your eyes! Or you can sit at our large sushi bar and enjoy Lake Norman's best sushi! We also feature a full bar, great early bird specials from 4:00pm to 5:30pm and drink specials every day. Kobe Hero is also the perfect place to have your next celebration or business/organization event! Special Easter Sunday hours! Open from 12:00 to 9:30. Back by popular demand! Our all you can eat sushi and Teppanyaki lunch buffet! All you can eat buffet includes a wide selection of sushi favorites and Teppanyaki with choices of chicken, shrimp, Korean BBQ assorted vegetables, noodles, fried rice, and soup. All this for only $12.95! Our lunch menu now includes traditional Asian favorites like Bento Boxes. For as little as $9.75 you can enjoy a complete Asian lunch. Our New Lunch Menu Is Here! Completely new menu that includes favorites like Bento Boxes, Korean specialties and a complete hibachi lunch menu! Kobe Hero is the perfect place for your group to celebrate! 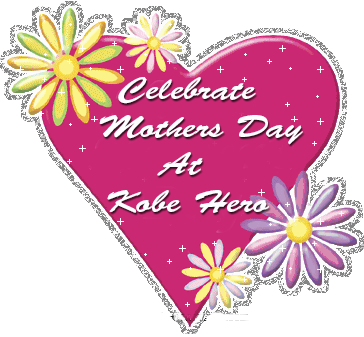 Bring Your Mom To Celebrate at Kobe! Don't forget, Mother's Day will be here before you know it. Kobe Hero is the perfect place to celebrate! Looking for a young adult adventure? Click image to order Amazon ePub.